In his own quixotic celebration of International Women’s Day, a conservative lawmaker was recorded telling his supporters that ladies, like animals, don’t belong in government. 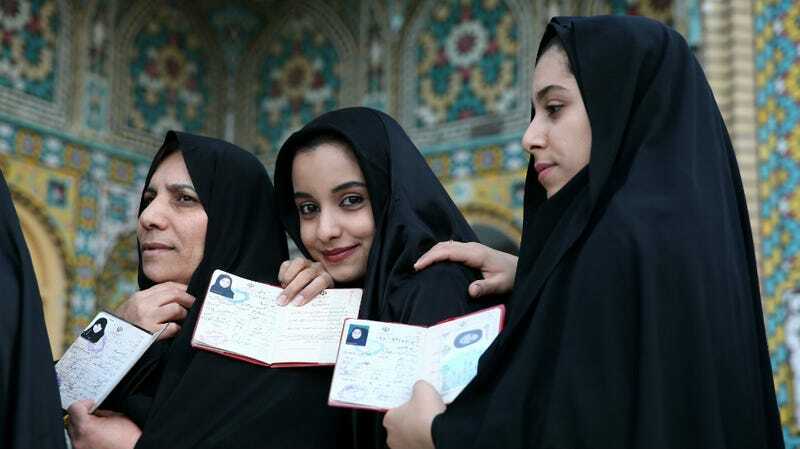 Iranian women just won a record 14 seats in the country’s parliament, which is, evidently, just like monkeys running things. Nader Qazipour: It was not easy for us to build this country, so we will not give it away easily to any little boy or fox. The Iranian parliament is no place for children or donkeys. The Iranian parliament is no place for women. It is a place where only men belong. If you send women to parliament members, they will face catastrophes and your honor will be violated. A record 14 women were elected to the Iranian Parliament recently, up from nine, and at least seven more are advancing to runoff elections in April, Al Jazeera reports. But at least 800 women were disqualified from running by the powerful Guardian Council, a state-backed panel of experts in Islamic law. Every woman running for a seat on the Assembly of Experts —the body of theologians who are able to elect and unseat the country’s Supreme Leader— was also disqualified.